Leicester's Argentine prop Marcos Ayerza is fully expecting to be confused when he lines up for his country against his club on Saturday. The 32-year-old is in his testimonial season with the Tigers, but will be in the Pumas side for their final World Cup warm-up match at Welford Road. 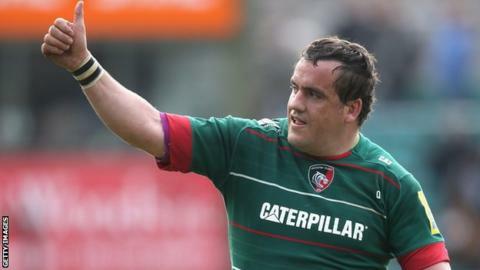 "To play Tigers will be weird," Ayerza told BBC Radio Leicester. "I have never been in the away changing room before. "To bring Argentina to Welford Road is huge. It will be a special day for me." Ayerza joined Leicester in 2006 and said he never expected to be approaching 10 years with the club. "I actually thought when I came I would only come for nine months," he said. "I thought I would prepare for the 2007 World Cup and that would be it. "Saturday will be special for me and the game is a big occasion for the club to receive a full international team preparing for the World Cup." Hear more of BBC Radio Leicester's pre-match coverage by clicking this link.